Gymnastics is a sport that is not just for a year, but for your whole life. What do we mean by that? Gymnastics is known to not only improve physical aspects associated with sport, but also enhance many aspects used in everyday life. Benefits include flexibility, coordination, body awareness, physical strength, balance, self-motivation, discipline, cognitive learning, social skills and work ethic. 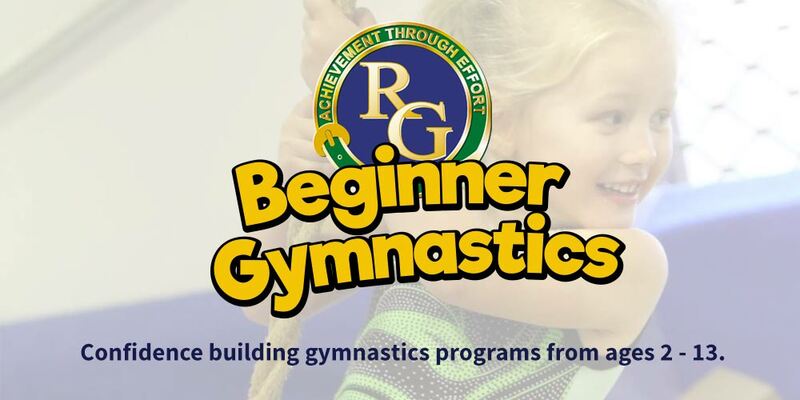 Each program aims to give your child the most of the benefits associated with gymnastics, specific to that age and level. Once your child has reached the stage of being able to listen and actively follow basic instructions, they can come try the KinderGym class. In this parent-participant class, you are right there on the floor guiding your child along a multitude of different activities, sharing in their joy of learning in their early years. KinderGym is the first stepping stone to allowing children to build their independence and overcome personal obstacles through learning and play. 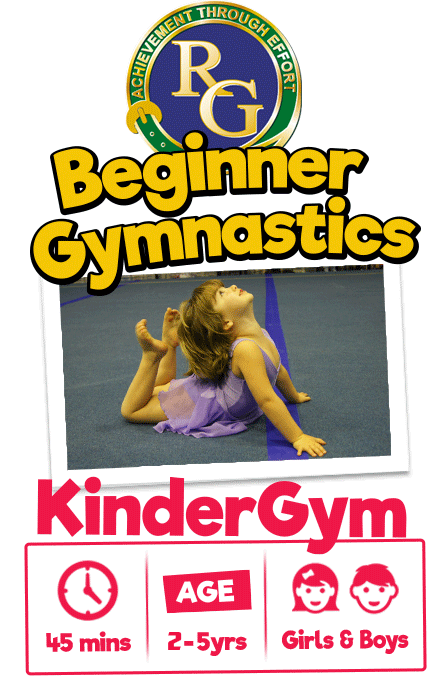 KinderGym aims to improve skills such as coordination, balance and strength in a fun, colourful environment. 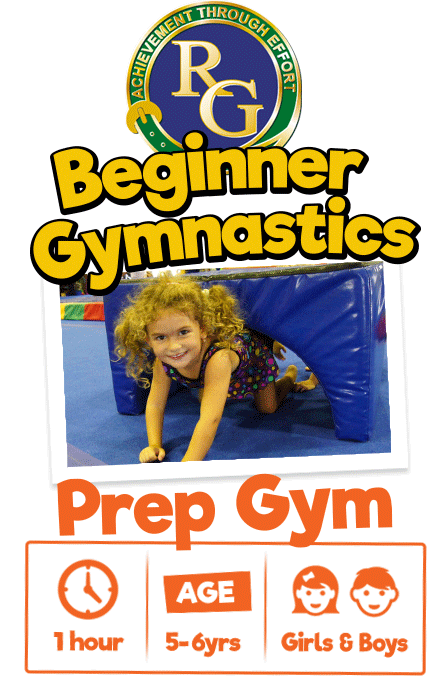 Prep gym is a transition class aimed to aid in the changeover from play-based Kindergym to real gymnastics. 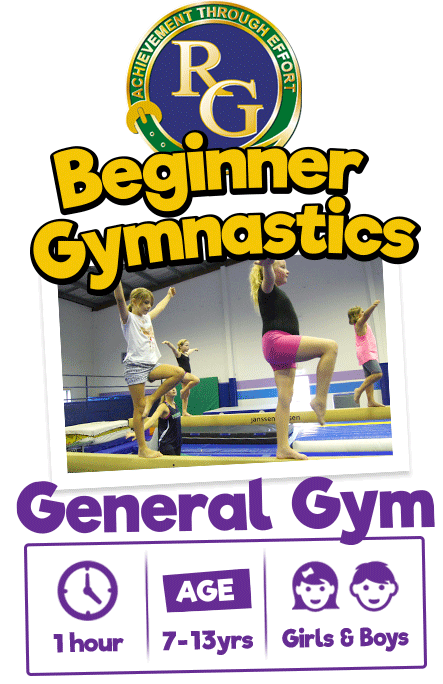 This class is designed for children who have actively progressed through Kinder Gym, or, are new to gymnastics but are confident in being on the floor by themselves. Prep Gym starts to introduce children to basic gymnastic skills and movements whilst still incorporating play and having fun. 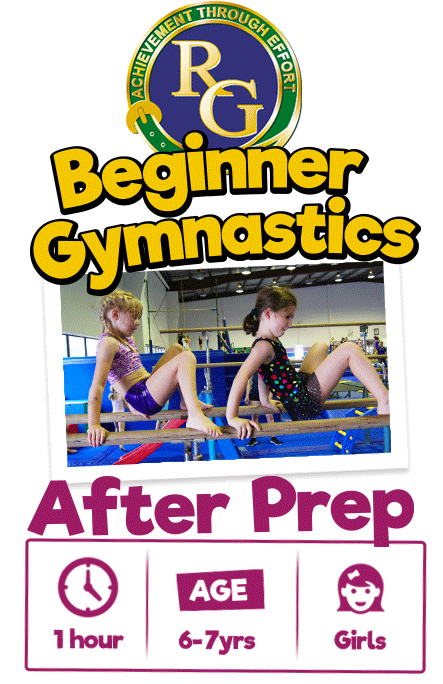 “Preppies” participate in a range of activities on various apparatus, improving not only the physical aspects associated with gymnastics but also learning how to interact with their coaches and fellow peers. This class also encourages independent learning and discovering how to overcome personal challenges. The After Prep class is designed for children who have the maturational and skill development required to work more formally at a young age. This class expands on the skills learnt in the Prep Gym class and instils in children the work ethic required in the next stage of competitive-style classes. Peer interaction is taken to a new level in this class with children at times needing to work together in activities to achieve common goals. This allows children to not only develop their teamwork skills, but also be taught of responsibility and the role they play when working in a group environment. 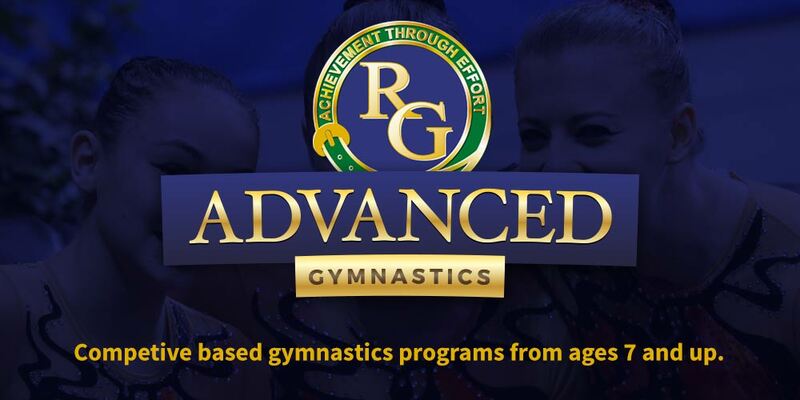 Girls that have already mastered basic gymnastics skills and are ready for a new challenge will be invited to join the Advanced General Gymnastics classes. 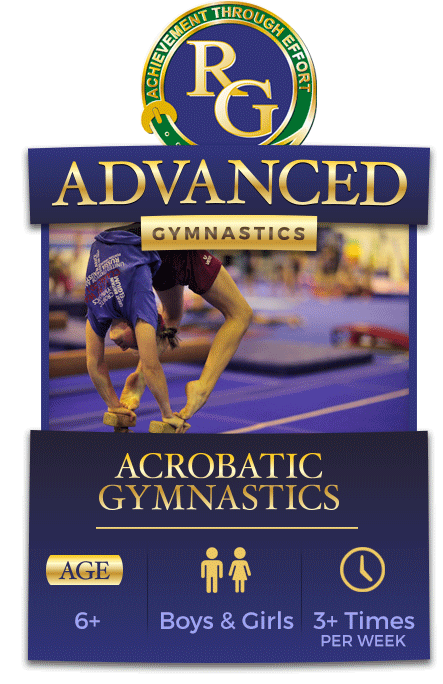 These classes focus on the Australian National Level program in Women’s Artistic Gymnastics (WAG). Girls within these classes will begin learning skills and routines for each apparatus (beams, bars, floor and vault) within national levels 1-5, as well as focus on general physical development. Attendance is required only once per week, but more than once is advisable, making this the perfect class for those who are no longer beginners but have busy schedules. In Term 3 of every year, gymnasts are given the opportunity to showcase their hard work in Academy’s largest competition of the year involving several other clubs. Depending on the level, children are also given the opportunity to compete at several regional competitions throughout the year. Boys and girls who have mastered basic gymnastics skills and have a preference towards being on the floor, trampoline and tumble track will be invited to join the tumbling class. This class is perfect for those yearning to learn how to flip, tumble and spin safely using correct technique. 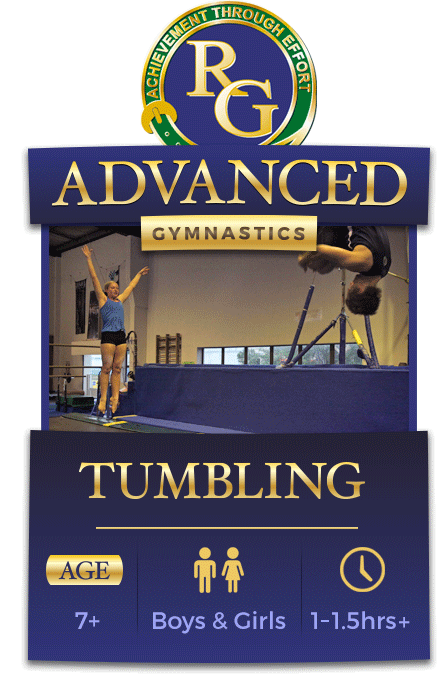 This class focuses on teaching the basics of tumbling as well as nationally recognised levels 1-6. Attendance is required only once per week, with more than once being advisable for quicker development. In Term 3 of every year, ‘tumblers’ who are training skills within the national level program will be given the opportunity to showcase their hard work in Academy’s largest competition of the year involving other clubs. Students of certain competitive levels are also given the opportunity to attend several regional competitions throughout the year. 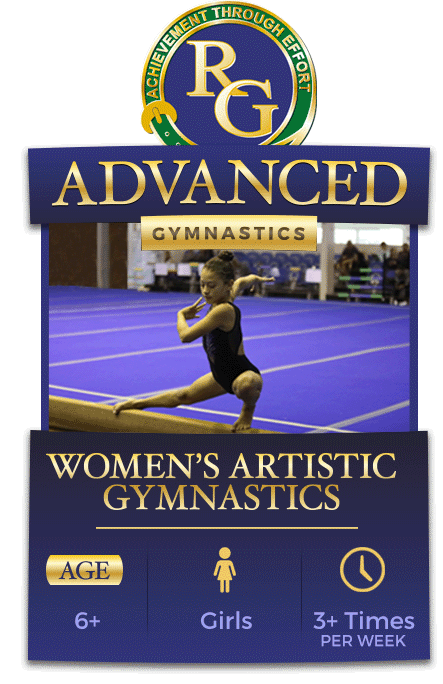 Girls who have mastered basic gymnastics skills and are ready to commit coming multiple times per week will be invited to join the Women’s Artistic Gymnastics (WAG) classes. 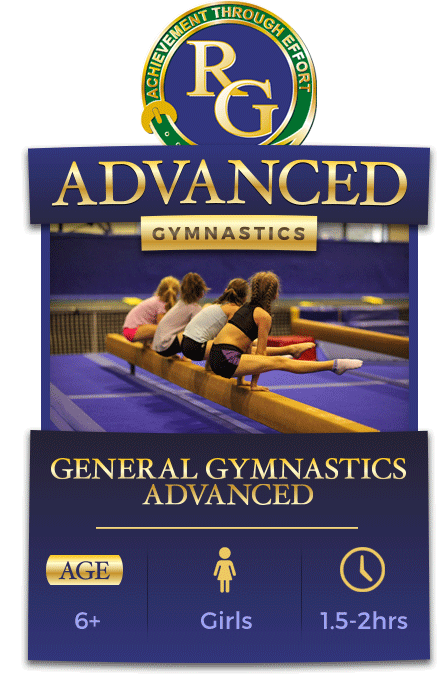 These classes focus on National Levels 1-7 of the WAG National Level Program in a more formal and competitive setting. In Term 3 of every year, gymnasts are given the opportunity to showcase their hard work in Academy’s largest competition of the year involving other clubs. Depending on the level, children are also given the opportunity to compete at several regional and state competitions throughout the year. 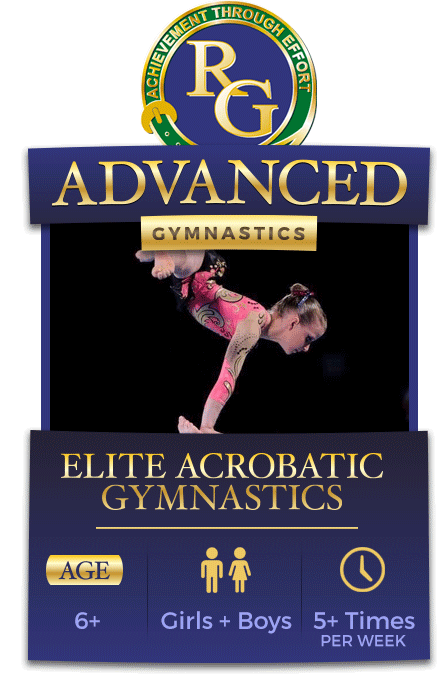 The Elite Acrobatic Gymnastics class is the highest level class offered at Robertson Gymnastics Academy. This class is by special invitational only and is for children who possess the skill level and work ethic required to work at a highly competitive level. Children in this class are required to attend multiple regional and state level competitions, as well as a National Club Championship. Children in this class have a personal goal to compete internationally and represent Australia.